Renewable energy is important as a substitute for finite fossil fuels and inflexible nuclear power and could conceivably power the world. However, this is challenging as the world is currently 80% dependent on fossil fuels, and renewable sources produce only about 15% of total energy. Conversion technologies for use with many of the eight different primary sources of renewable energy are only just emerging as viable technologies. While renewable energy sources will not run out, and their use involves little or no release of carbon dioxide or ionising wastes, they do have local environmental impacts of their own. 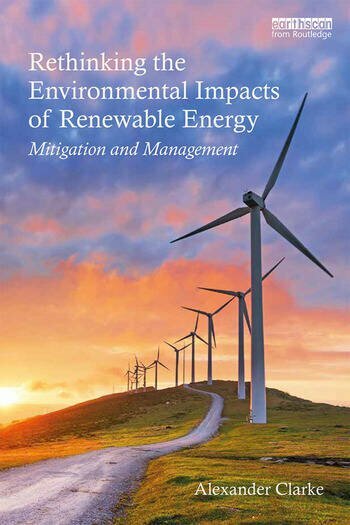 This book analyses the nature of environmental impacts from renewable sources. A novel method of assessing impacts is explored based on a set of parameters centred on how diffuse or concentrated the energy flow is. The approach that is developed will inform engineers, designers, policy makers and planners as well as researchers in the area. Alexander Clarke is a Teaching Fellow in Renewable Energy in the Natural Sciences Department at the University of Bath, UK and an Associate Lecturer at the Open University.